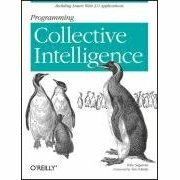 Programming Collective Intelligence looks like an incredibly interesting book that I just can't wait to read, especially since I'm in the midst of developing a social shopping site that hopes to aggregate and make use of the "collective wisdom." We're always looking for ways to improve our related coupons/topics/sites listings and, since we're going to be adding user comments soon, the portion on spam filtering looks awesome. On top of it, I've heard lots of great things about Python but haven't had the chance to use it much, so I'm really interested in looking at the code samples provided. I recently read a great book by Jason Beaird about the fundamentals of web design called The Principles of Beautiful Web Design. It has a great overview of concepts such as layout and composition, color, texture, typography, and imagery with some how-to tips throughout the book. Even more importantly, he believes that anyone can learn how to design beautiful web sites, even developers/coders like me!